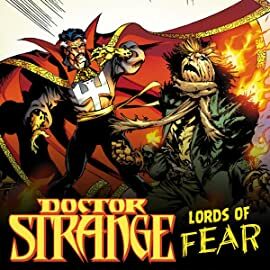 Meet the Fear Lords, Doctor Strange's most diabolical foes, as they spread terror across the Marvel Universe! The nefarious Nightmare is a villain that will literally haunt your dreams! The Lurking Unknown raises questions for Thor, and the Dweller in Darkness casts his shadow over Hercules and the Thunder God! The maniacal laugh of the Scarecrow spreads terror wherever he goes - including a run-in with the Thing! 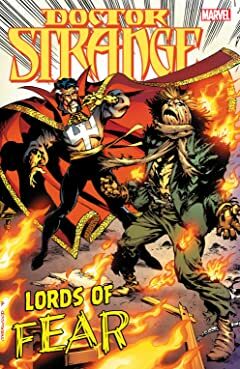 The demonic D'Spayre plagues Spider-Man and Man-Thing, while Kkallakku and Nox join the party as the Fear Lords come together to raise hell for Daredevil and Doctor Strange!